Other than side and backdoors, the garage is the second most common place for a burglar to gain entry into your home. Worse yet, you may own a home with a wraparound driveway that leads to a garage facing the rear of the home. Low visibility is a burglar’s best friend. Show an experienced burglar—who already knows that the most vulnerable place for most homes is the garage door—one of these hidden garage entrances and their eyes are likely to grow big. 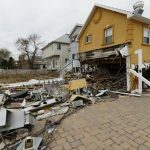 Whether people are, by nature, good or bad doesn’t really matter to homeowners who know, first and foremost, that many people out there are desperate and unscrupulous. Property crime accounts for three-quarters of all crime in this country. According to the FBI, a property crime occurs every 15 seconds. 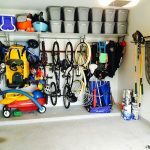 Of course, much of this property crime is motor vehicle theft, but garages also have the distinction of being the one place where motor vehicle and in-home property theft intersect, making your garage, in terms of home security, the hardest button to button. 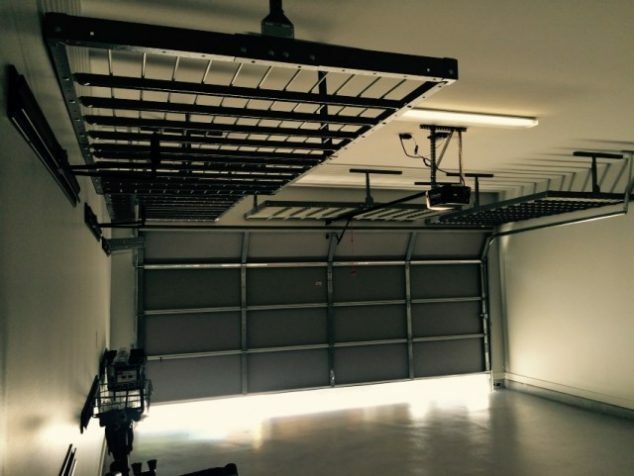 Creating a secure garage door can’t be accomplished by any one thing. The door itself must be sturdy, the garage door opener must resist tampering, and the surrounding area should be well-lit, preferably with motion-sensor lights. Finally, an alarm system tied not just to your front and back door, but your garage door as well can make the difference between catching/deterring a would-be intruder. 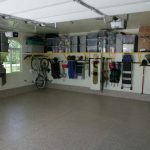 And, although it may seem like a no-brainer in an article about garage doors, in your day-to-day life when you’re unable to actively monitor your garage, you need to find a way to remind yourself to keep the door closed AND locked. It may be hard for some people to believe, but many forms of automatic garage openers are already woefully outdated. Modern automatic garage door must have modulated operating frequencies. Otherwise, a burglar can buy about half a dozen garage door opener replacement consoles and generally find one that will open your door. Of course, remote control buttons have become only one form of several automatic garage door openers. Wireless keys, where you swipe a handheld device at a detection panel, tend to have more sophisticated and secure safeguards. Computerized, remote access, however, is the latest in garage opener technology. This garage door opening system works, often in combination with a home security monitoring service, by allowing you to open and close your garage door from anyplace where you get cell phone reception. This enables you to let a service repairman, babysitter, or any other type of guest enter your home at your discretion without compromising your password. An all too common piece of home maintenance, the only golden rule of garage door repair is to get it fixed as soon as possible. Naturally, burglars can identify and exploit a garage door that won’t open, won’t close, or can’t decide what it wants to do. 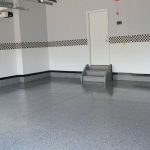 Plus, it won’t take long for restricted access to become a huge headache if you’re accustomed to using your garage as an entry for your home. 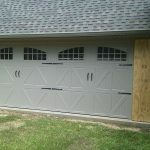 Spring-loaded doors can be dangerous for the amateur homeowner, but as a general rule of thumb, if you can’t identify what’s wrong with your garage door in five minutes, you should call in the professionals. Occasionally, oiling the hinges does the trick, but often a replacement part is needed and sometimes the whole thing needs to be replaced. 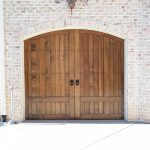 While you may not be able to fix the garage door on your own, you should do your best to inspect and identify symptoms, sounds, and anything else that appears out of place. You may be able to save the repairman a trip to the hardware store or manufacturer warehouse, if you can help him or her diagnose the problem over the phone. Of course, the best garage door repair is the one that never has to occur at all. You might be surprised to learn this, but there is actually a monthly maintenance schedule recommended by the International Door Association, the garage door industry’s premier organization. Need to find a pro for your Garage Door Opener? Reversal Test—Lay down a flat 2×4 on the floor in the center of the garage door. Close the door and make sure it reverses. Force Setting Test—Hold the bottom of your garage door as it closes to ensure it readily reverses. Additional Safety Devices—If your garage door has a photo eye or edge sensor, make sure its working properly. Lubrication—Regularly lubricate the moving parts of the door, except for plastic parts such as plastic rollers and plastic idler bearings. Door Balance—Start with the door closed and use the release mechanism for an automatic garage door opener, so you can operate it handily. The door should open easily and stay open around 3 or 4 feet high. If it doesn’t, it needs to be adjusted. 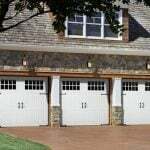 With all the talk and consideration of garage door openers, it’s easy to forget the garage door itself. 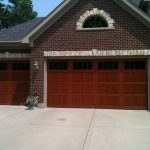 A solid wood garage door is a real asset both in terms of visual appeal and home security. 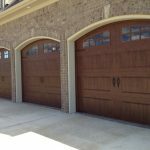 Solid wood tends to create a much heavier door than aluminum or vinyl and for this you’ll need a garage door opening system to match. 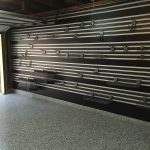 Screw-driven garage door assemblies will cost a little bit more, but they have what it takes for nearly any load-bearing capacity—critical for durability and safety in garage door operation. While most homeowners do little more than make sure their garage door isn’t an eyesore, you should never miss an opportunity to increase your home’s curb appeal. White garage doors are standard and may work well with your home’s exterior accents, but many homes are better served by infusing a bolder color into their curb appeal. If, for example, your home is dominated by a beige, white, or tan vinyl siding, a brilliant red or deep green might help to balance this lackluster surface.